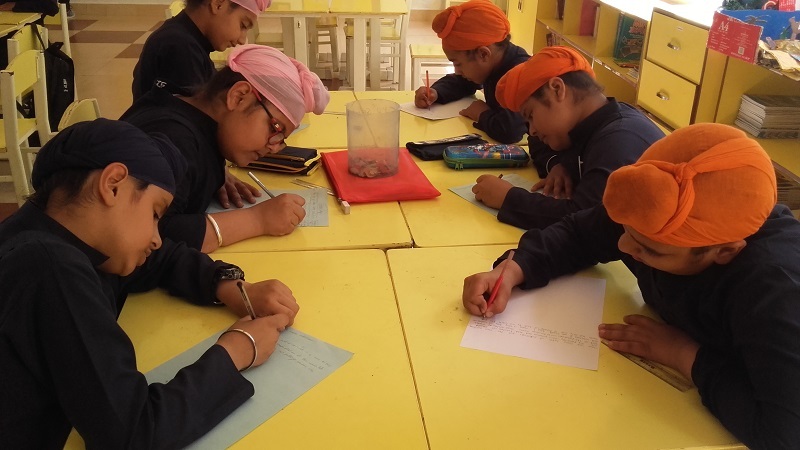 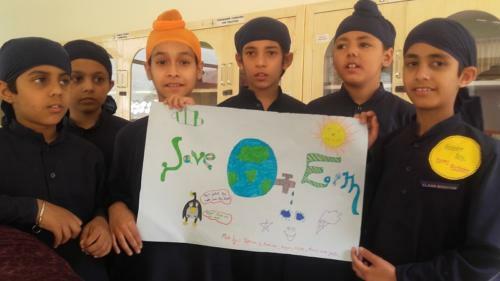 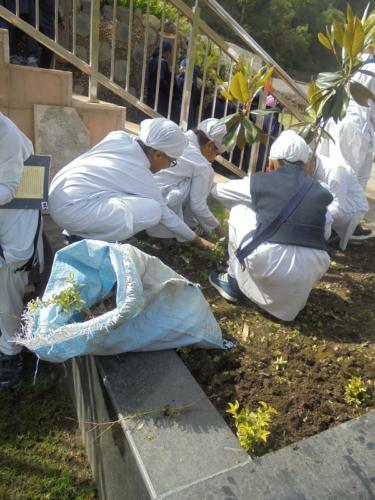 Akal Academy, Baru Sahib IB World School observed the Earth Day (April 22). 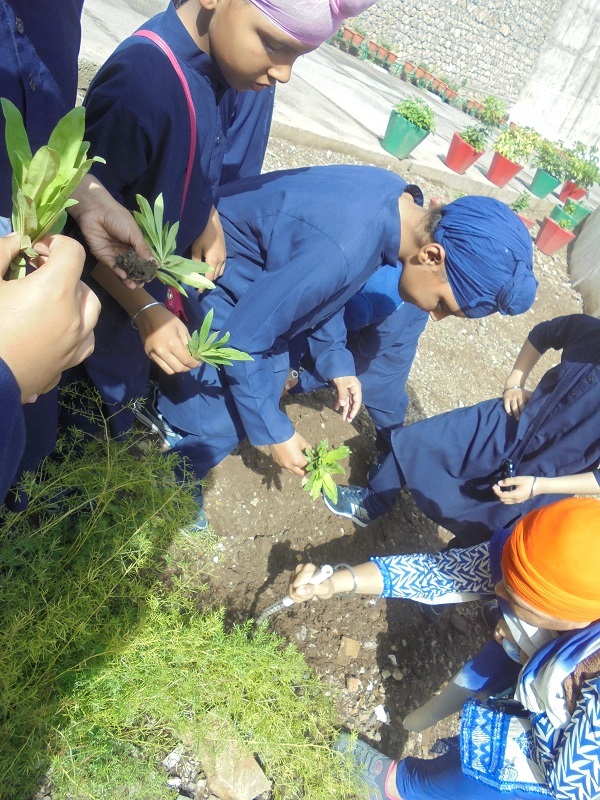 The "Go Green Club" of the wing organised special events on Saturday, 21 April to observe the day meaningfully and to show that we care for our earth. 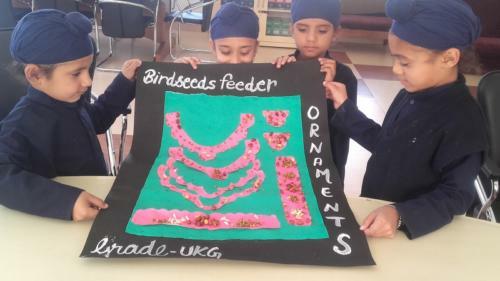 Grade 3 students had plantation drive with the help of the gardner ; few of the Grade students voluntarily took up the cleanliness drive around the campus ; Grade 4 students made posters on Earth Day spreading awareness on why it's necessary to protect earth ; Grade 5 students had essay writing on related topics ; Grade 1 students watched PPT related to Earth day; UKG students made Bird Feeder from their refreshment items and placed on the trees for birds to eat; Nursery class made the model of a tree house and LKG students made some usable items from waste materials.